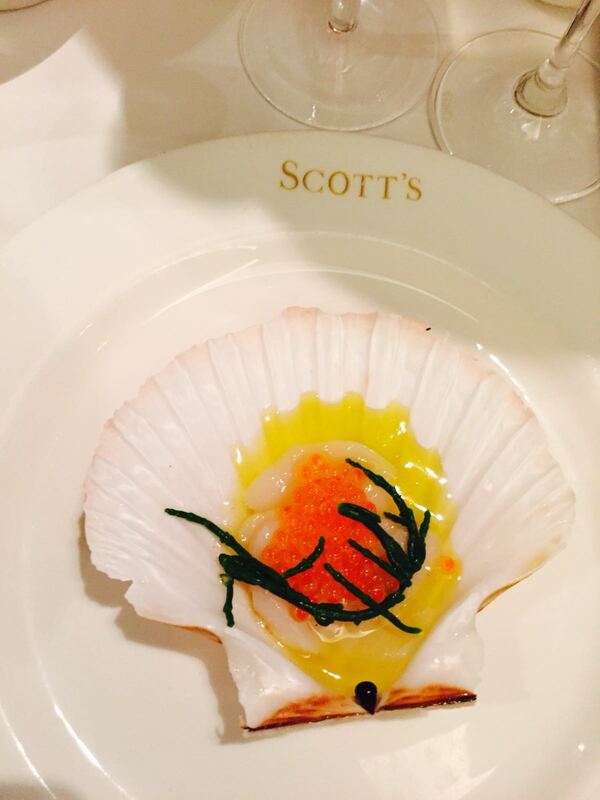 Last month, I had a fabulous day lunching in one of my favourite seafood restaurants, Scott’s in Mount Street, Mayfair. 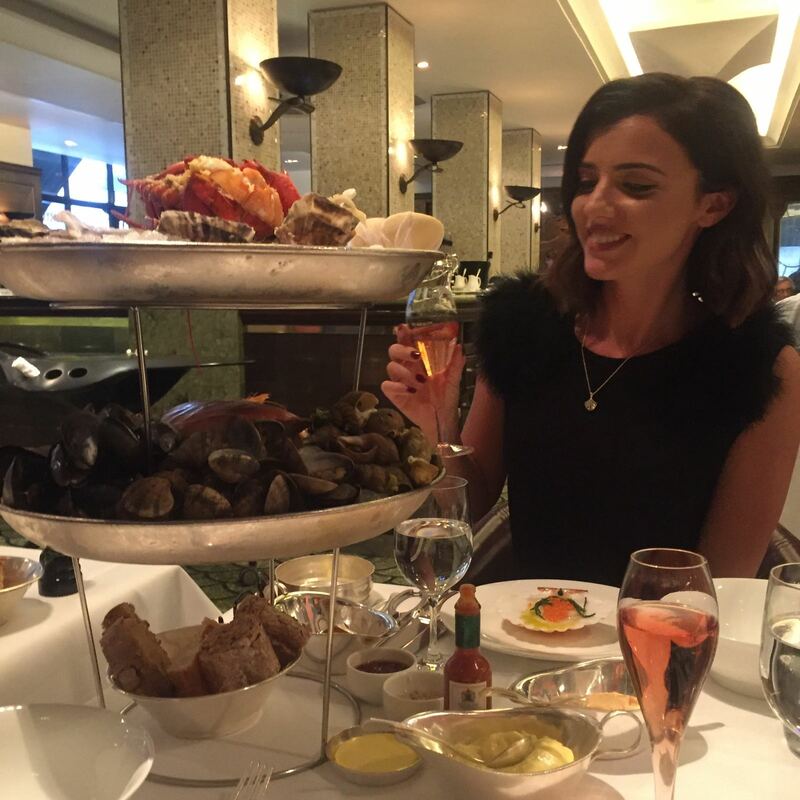 The food was amazing but the company was even better! I met with Mariya Dykalo, the Head Designer & Creative Director of one of my favourite handbag brands, Aspinal of London. 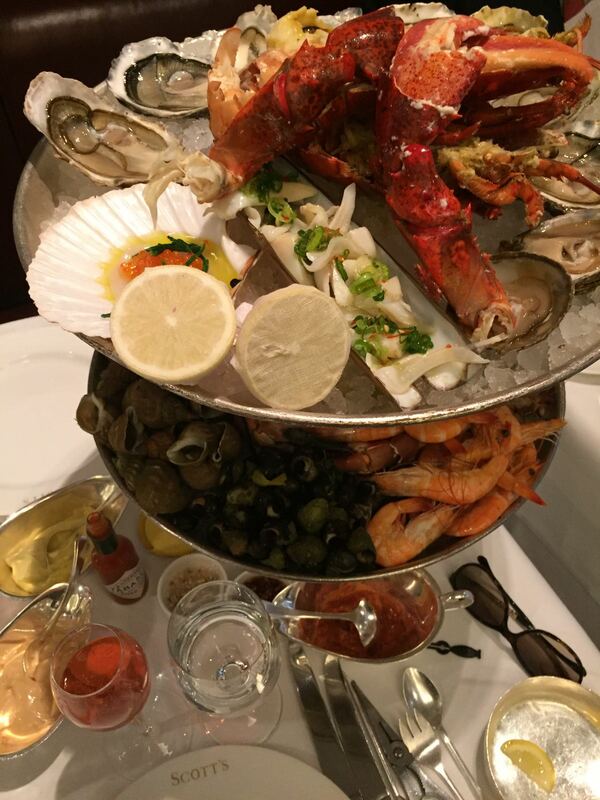 We enjoyed the Plateau de Fruits de Mer & a glass (or two!) of Champagne while talking about our favourite bags, shoes & general girly gossip! I absolutely loved listening to Mariya’s journey to becoming a very successful bag designer. It is extremely inspiring – I love stories of successful business women! Later on, after our delicious lunch, we headed to the Aspinal Flagship store on Brook Street, Mayfair to customize my own bag! Literally every girls dream!! We had so much fun experimenting with different handle & strap colours! I was really surprised that some of the really bright neon straps easily transformed a very classic, traditional bag to a modern, edgy bag in seconds. I think this is such a fantastic idea! As Aspinal is a luxury brand, unless money was no object, most people, including myself, would choose quite safe colours as you wouldn’t want to take the risk of your bag not matching many outfits! This gives you the flexibility to change the look of your tote for every outfit for a fraction of the price & takes up less (and well needed) storage space in your wardrobe!! I think this would make a fab Christmas present and then you could even receive different colour handles & straps each birthday or Christmas! Plus, you can get any bag or accessory embossed or engraved from just £15. 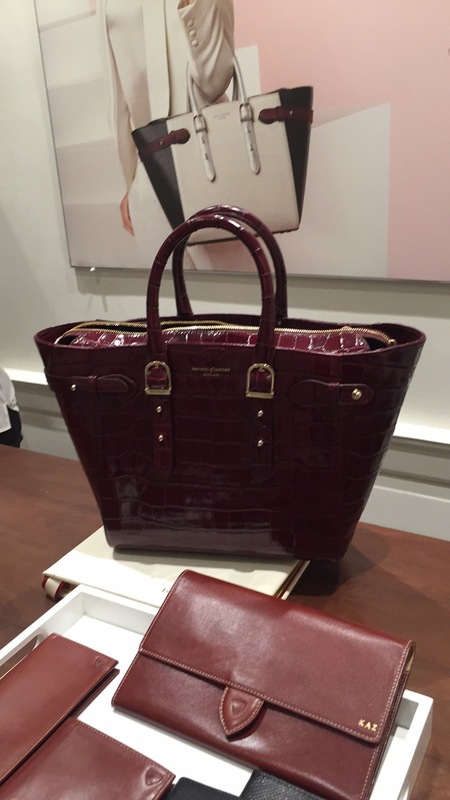 We all love personalization; I personally think it makes a bag! You can also even get a tech pack to charge your phone discretely in your handbag – what an amazing idea!! 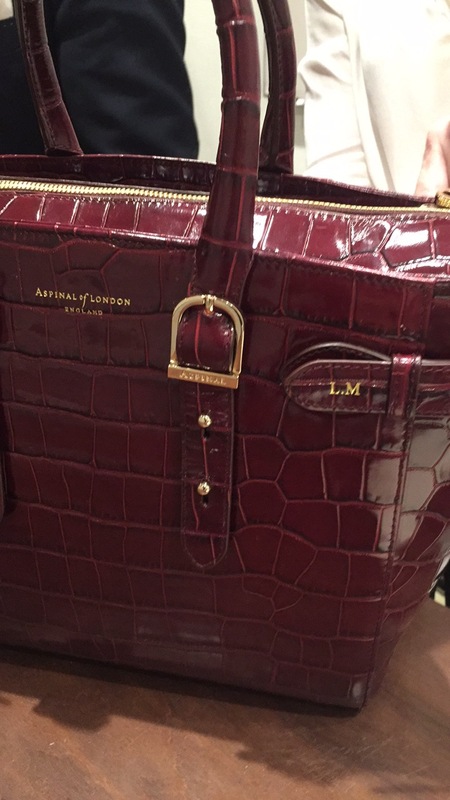 I chose the deep shine Bordeaux Chameleon Midi Marylebone bag. I did choose to keep it classic & I didn’t change the strap colours as I just absolutely loved it as it was!! But I definitely will get some strap colours for it in the future!